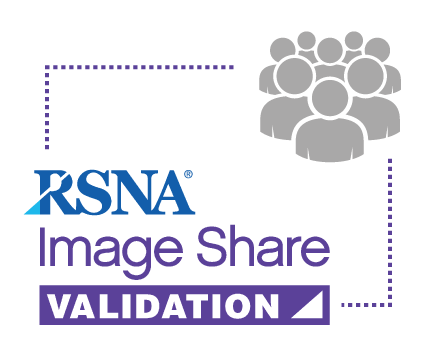 Download the RSNA Image Share Validation Application to get started. The Sequoia Project and the Radiological Society of North America (RSNA) are proud to introduce the Image Share Validation, a conformity assessment program that will set the standard for consistency in the marketplace. The Image Share Validation program will test the compliance of vendors’ systems using quality standards determined most effective for accurate and efficient exchange of medical images including those used in the RSNA Image Share Network. Beginning in 2018, the validation program will expand to include additional security and document sharing metadata to enable better discoverability and improve interoperability of medical images. Watch the RSNA Image Share Program Webinar or Download the Presentation Slides (PDF). The RSNA Image Share Validation benefits patients and providers with improved efficiency, reduced costs, enhanced quality of care, and standards-based interoperability to spur innovation.